You guys know how much I am loving cooking at the moment right? 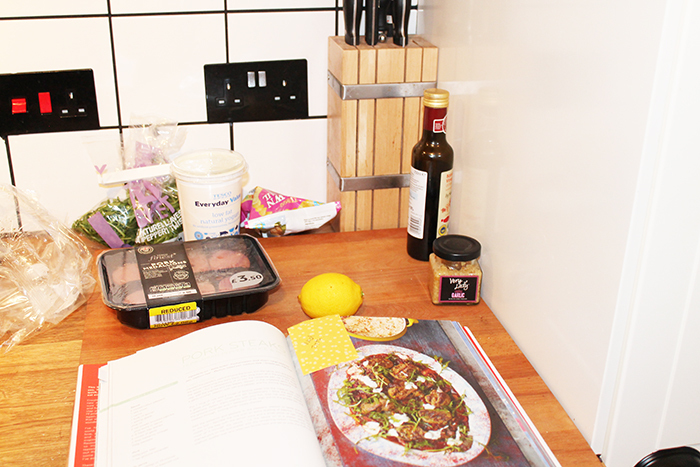 And how much I love writing recipe posts and trying new foods, well today includes another new recipe from Jamie’s 15 minute meals. 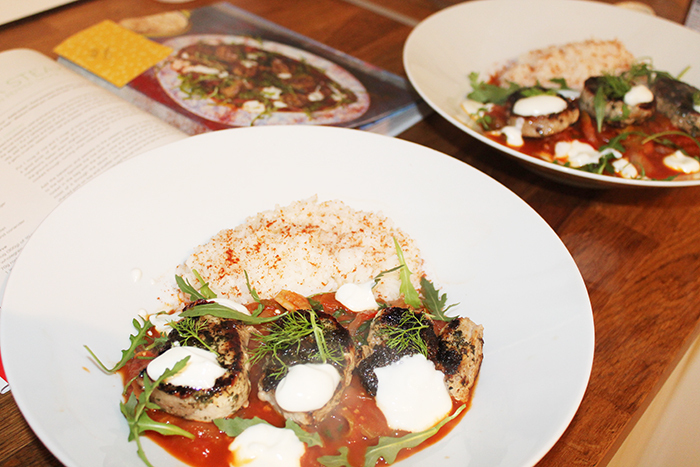 This time around we have pork steaks with Hungarian pepper sauce and rice. 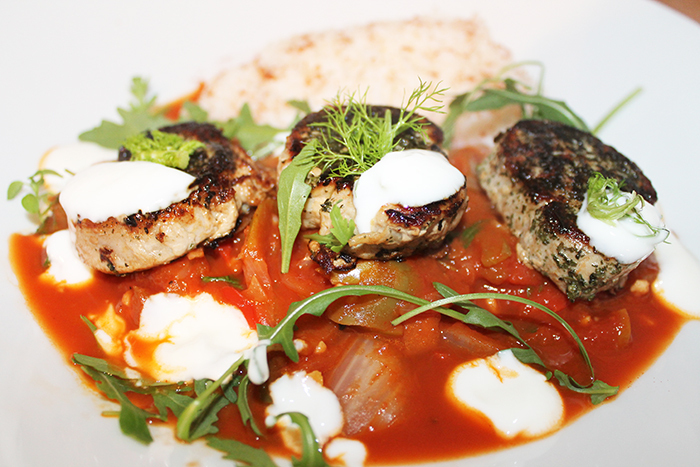 It’s a nice take on pork in a tomato-based sauce with rice. And as always it’s a pretty simple to pull together. 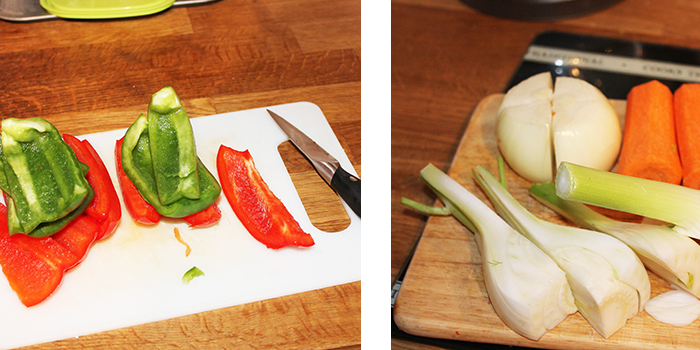 Deseed the peppers, peel and halve the onion, trim the carrot, trim and quarter the fennel (reserve the leafy top), then slice them in the food processor with the apple. Put two tablespoons of oil into a pan, tip in the sliced veg, add the paprika and bay leaves, squash in the unpeeled garlic (or try 4 teaspoons of pressed garlic from this post),then season with salt and pepper, and fry, stirring regularly. Put one mug of rice and two mugs of water in to a medium pan with salt, and cover,stirring occasionally. 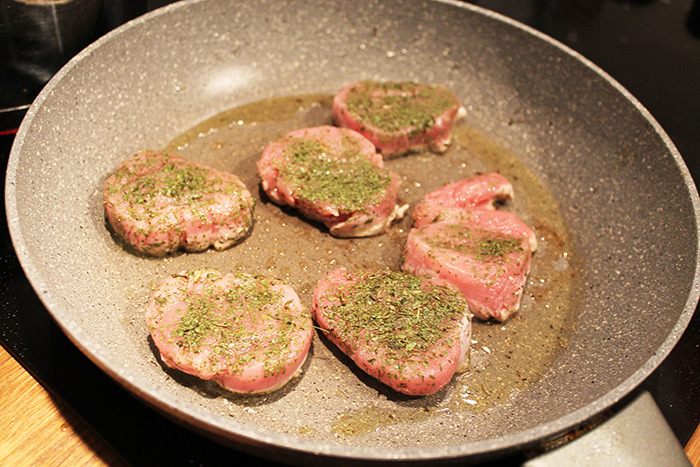 Slice the pork into medallions (or buy medallions, which is what we did), flatten them slightly with your fist, and season with salt, pepper, ground coriander and a little oil, then place in a griddle pan to cook through, turned when charred on one side. 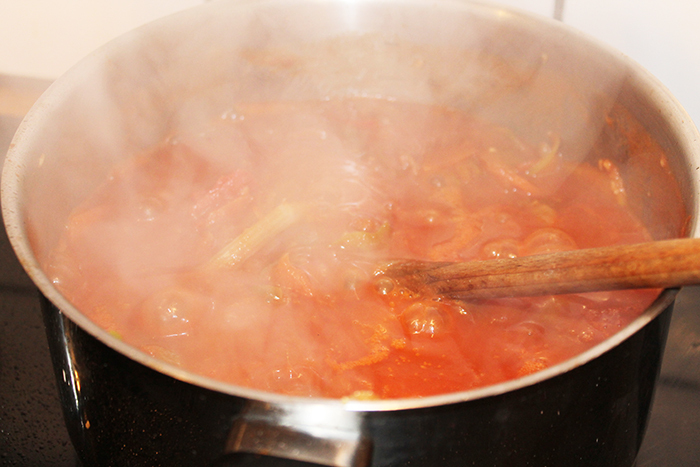 Add the balsamic and passata to the peppers, season and bring to the boil. Sprinkle the rice with an extra dusting of paprika. 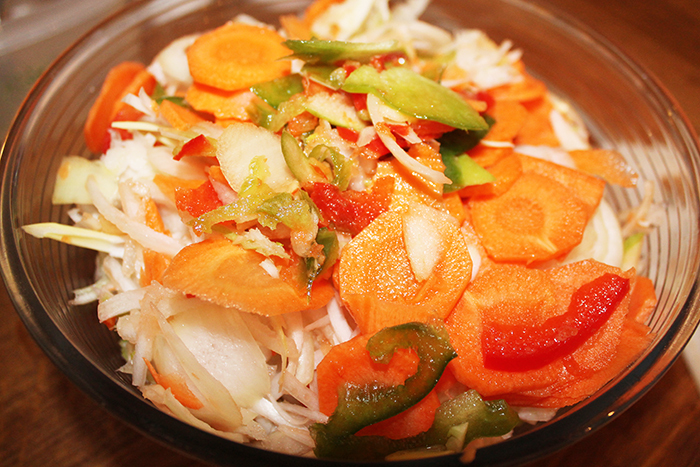 Dress the rocket in the bag with a little lemon juice and salt, then fold most of it through the sauce. 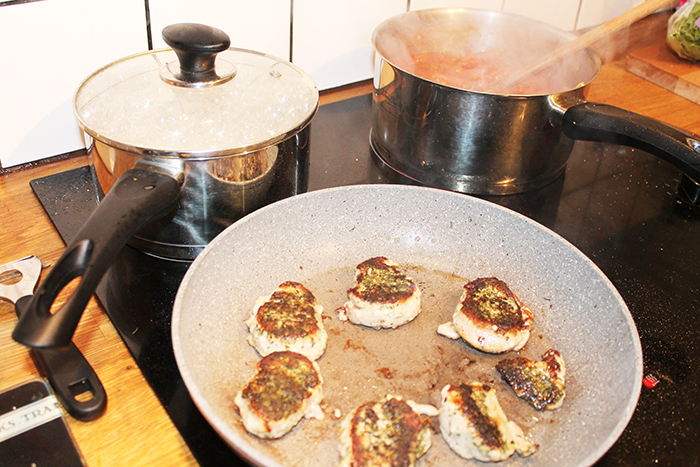 Tip the sauce onto a platter, place the charred pork on top and scatter with rocket. 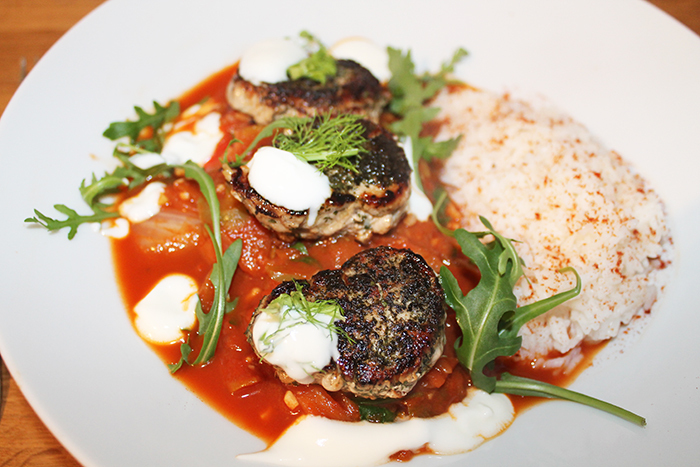 Drizzle with yoghurt,add the fluffy tops of the fennel and serve with the rice. "FOOD: Friday Night Greek Chicken"